My initial post covering this open source Real Time Streaming Protocol (RTSP) surveillance camera access multi-tool was about an older version. A lot has happened since then and an update – Cameradar v2.0.0 was made available by the authors. One of the most important changes is that, Cameradar is now a golang lib improving it’s performance. This also ensures that all current releases are multi-OS. Another notable update in this release is the inclusion of RTSPATT, a multipurpose RTSP media server that can simulate RTSP cameras, broadcast RTSP streams and even create test videos or serve video files. 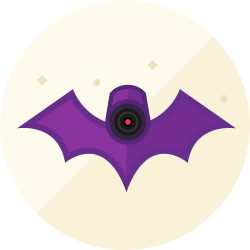 Cameraccess will serve as both a replacement for the old Cameradar C++ app and an example on how to use the Cameradar library. The Cameradar docker image uses Cameraccess as an entrypoint. Cameraccess is more performant than the old C++ Cameradar. Cameraccess has a better and more user-friendly UX than the old C++ Cameradar. The new docker image is somehow exactly two times lighter than the previous one (187MB vs 374MB). The Cameradar golang library provides the necessary tools to quickly build a tiny program to discover and attack RTSP streams, and makes it easy to build on top of it. The code is much cleaner and all legacy code has been removed. The latest version of Cameradar v2.0.0 (cameradar-2.0.0.zip/cameradar-2.0.0.tar.gz) can be downloaded here. You can also check out it’s GIT repository from the same location.